INCOME GENERATING PROPERTY! This fantastic office building in the heart of the Central Phoenix Corridor is very close to I-10, SR-51, just minutes from the downtown core and across the street from Phoenix Country Club. 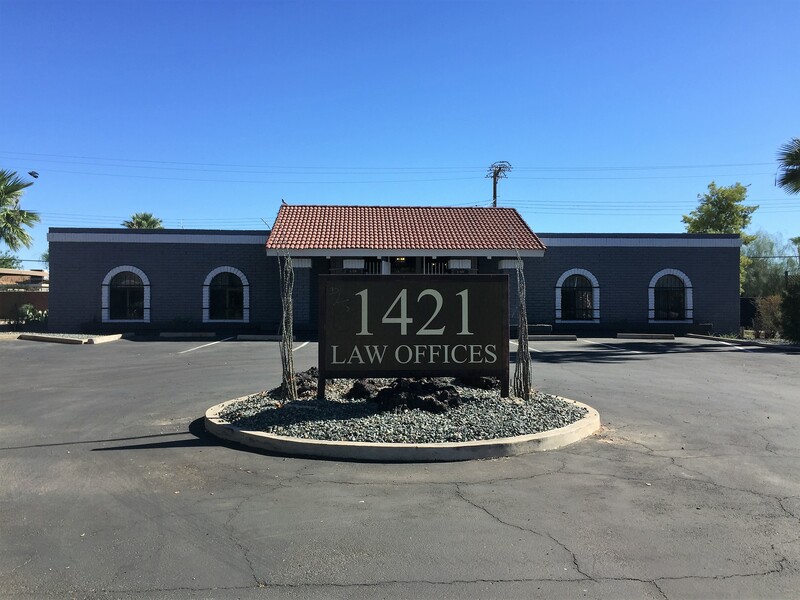 Near ASU, Park Central, the Phoenix Arts District & walking distance to the 7th Street cafes & shops, traffic count is HIGH and current use is a lawfirm. With solid, block construction, its setback is excellent with a large & open lot, a great lot line & 15 private parking spaces. There are 7 office spaces with full occupancy making it great for owner-user, plus 2 spacious additional work stations (20×12 & 13×10). The R-5 zoning allows for a multitude of businesses. This is a very well-maintained building inside & out with new 2-tone exterior paint, new colorful xeriscape landscaping with new rock and succulents keeping water and landscaping expenses low. Building has a brand new A/C unit & partial tile roof with a secured, pavered lobby entrance which boasts a dramatic vaulted ceiling upon entry with hanging lights, soffits and HUGE northern facing windows resulting in tons of natural light. Other amenities include a large, full conference room (20×15), full size break room with full, large kitchenette (15×12), separate men’s & women’s restrooms, large copy & storage room (34×12) with additional storage throughout, and wood shutters on all office windows. Come check out this terrific building! Showings by appointment only. Tenant occupied. Do not disturb. Call or email me today if you’d like to view this centrally located Commercial Property.